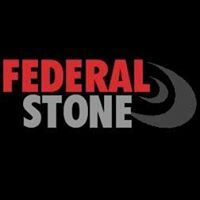 Schedule an appointment with Federal Stone Industries, Inc.
Federal Stone Industries, Inc. is a manufacturer of precast swimming pool coping. We’ve been proudly serving the pool contractors, architects, and distributors since 1965! Whether you are looking at ideas for a new project or embarking on a renovation, we hope you will consider Federal Stone coping in your details. We’ve made it our goal to consistently offer a safe, quality product to our customers. We understand that trends may come and go, but we believe our selection will exceed your expectations.